44,688 others viewed this post. 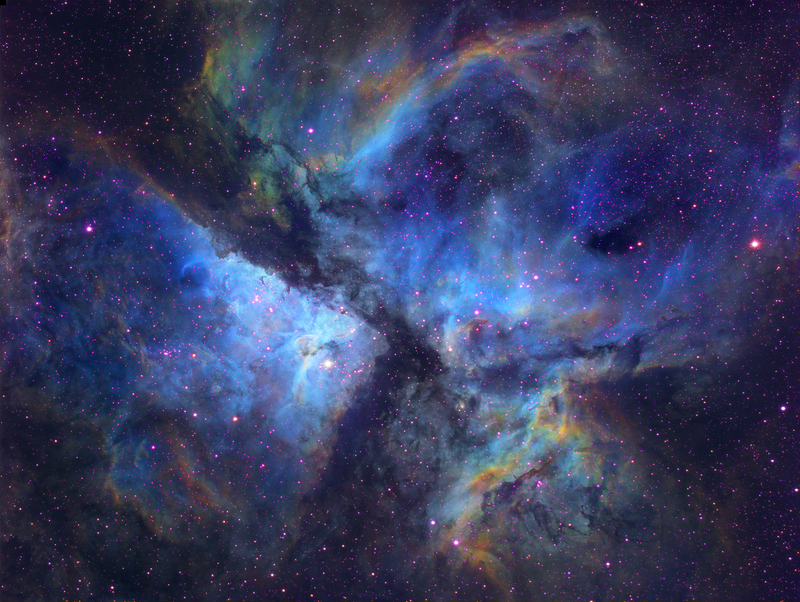 I imaged this last night under perfect conditions in record time (82 x 60s total) with the usual 3 narrowband filters. Using the PHP/GD online narrowband preview tool I developed recently (link below) I decided the Hubble palette was the most compelling as the doubly ionised Oxygen spewing from the core is really brilliant and not normally so visible against the normally-red Hydrogen, seen here in the green areas. Speed of acquisition due wholly to the Celestron RASA which exposes at F2. Also using the QHY9M, Baader highspeed filters and Celestron CGX mount.